I don’t think I’ve ever anticipated the launch of a book quite as much as this one. For those of you who are regular readers of my blog you’ll know that for the last year I’ve been training with Julia Buckley and following her fat loss programmes with great success. 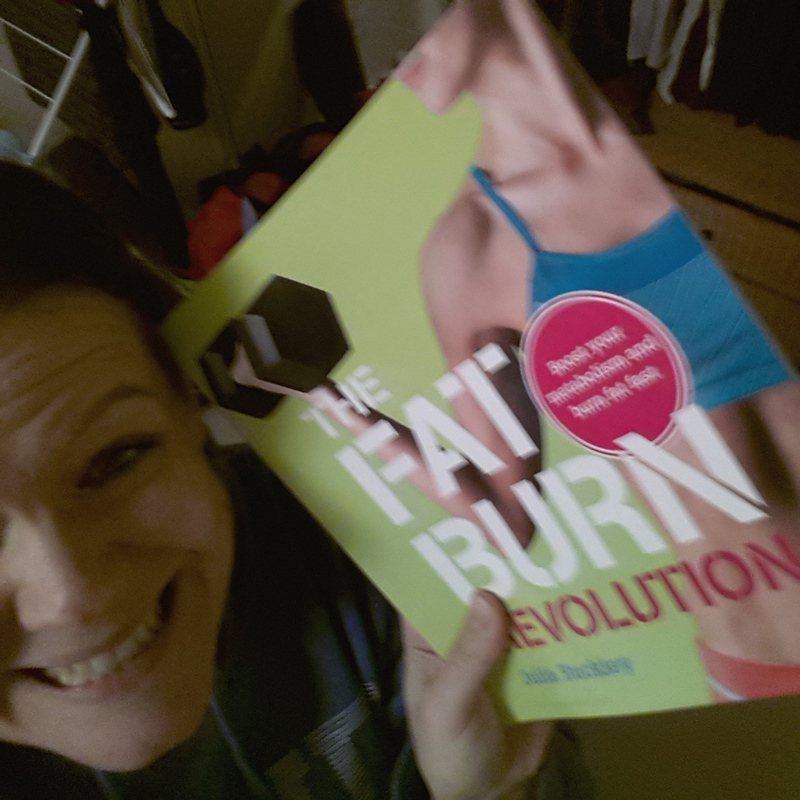 Julia’s first book – The Fat Burn Revolution launched on January 2nd. 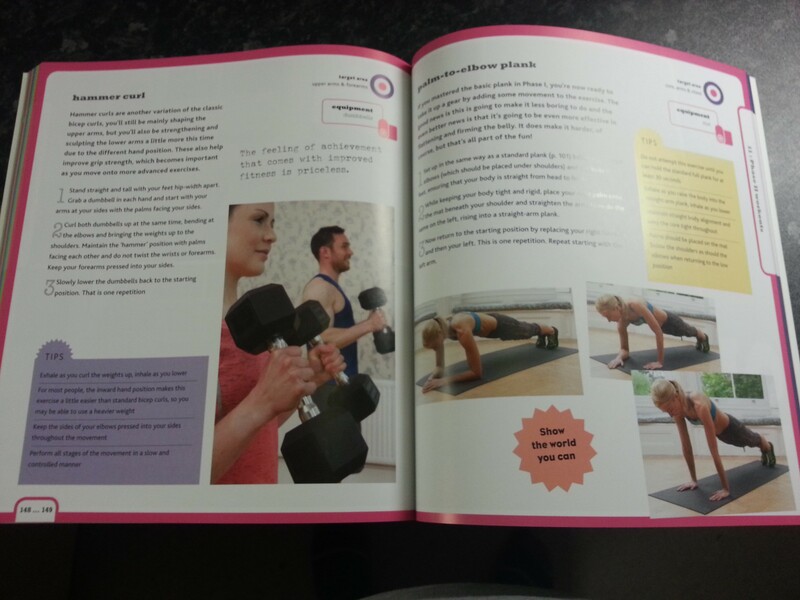 It outlines the 12 week fat loss course which I originally took part in back in January 2013. I’ve been absolutely dying to get my hands on the book to see how the online programme translates onto paper. Happily I’m not disappointed. Firstly – the book is stunning. Just under 200 pages, colour coded into sections and jam packed full of colour photos of Julia and her models demonstrating the various exercises that make up the programme. It’s a real feast for the eyes. And then there’s the actual content. Julia takes you through step by step everything you need to know about and think about before embarking on the programme. She covers the rationale behind the exercises, the results from her very first pilot programme, how to prepare mentally for the 12 weeks ahead, dietary guidelines that will maximise fat loss and a run down of the basic equipment that you need – a set of dumbbells and an exercise ball. The next 3 chapters are devoted to the programme itself. Step by step instructions for each of the 3 phases. Each exercise has illustrations and tips to make sure that it’s easy to follow and that you carry it out with correct form to minimise the risk of injury. When I followed the programme I had videos of Julia demonstrating all the moves to follow so I was interested in how this aspect of the book would work. I actually think it translates really well onto paper. The instructions are clear and the photos really help to bring them to life. Julia recommends keeping a journal to chart your progress, something that I think has been a key part of my success and she’s provided free digital versions of these on her website – the links are all provided in the book. There’s also an open Facebook Group for people following the programme via the book – it’s got nearly 300 members and is growing by the day and I think will be an excellent source of support for people just starting out. Of course, following the book is going to be a different experience to being part of Julia’s online programme like I was. There’s a lot of extras that you get by signing up for a 12 week programme with Julia – not least direct access to support and advice from Julia herself. But for those who don’t want to, or perhaps can’t afford to do so then the book is going to be a great way to still achieve the benefits of Julia’s programme. There’s reports emerging from the Facebook group of people dropping weight and size in their first week already. Of course I’m not surprised – I know that this works! Sounds like a great book, I’m keen to try it out and see for myself! So excited to be starting the programme tomorrow!